Physical description: Height 4-5ft. Zebras can weigh up to 300kg and become up to 2.40 meters long. Each Zebra has its own stripe pattern. Zebras are black with white stripes. Zebras like to live in long lasting family herds and a stallion controls each family. The stallion defends the herd against potential rivals and predators such as hyenas. A zebra can become up to 20 years old or in a zoo up to 28 years old. 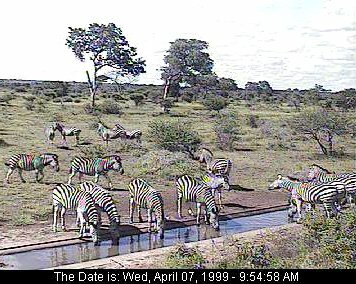 Each zebra has its own stripe pattern. 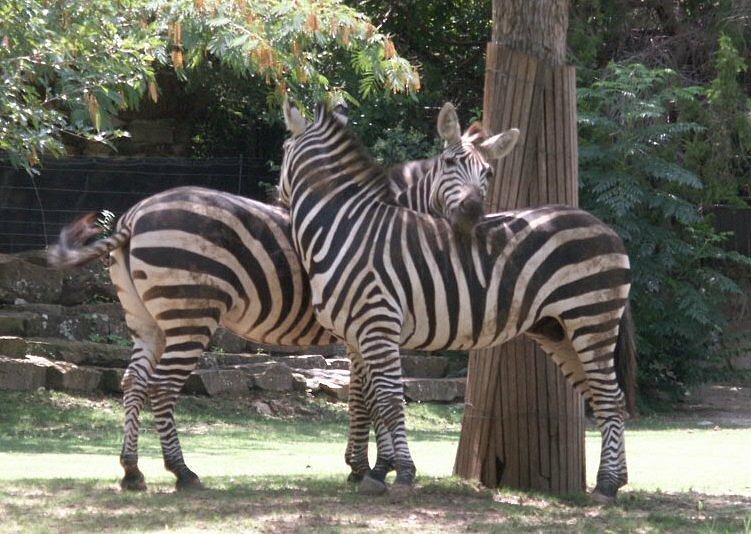 The zebras recognize each other by their stripe pattern and by their smell. Some species have narrow close set stripes, while others have broader stripes. Zebras like to help groom each other. There are three living species of zebras: Grevy's zebra, Cape Mountain zebra, and the Plains Zebra, which has several subspecies, including the now extinct Quagga. Here is a really neat fact! Did you know that the phylogeny of equids is the most heavily documented fossil record of evolutionary development for any animal group? Zebras are black with white stripes. 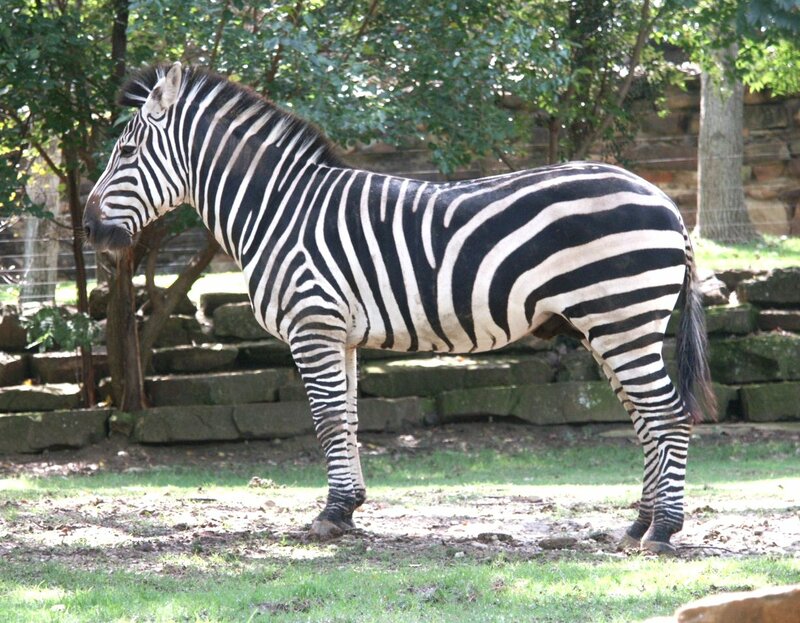 If you shaved a zebra, you would see that its skin is black( Knoxville Zoo). GORP-Serengeti National Park, Short Grass Plains, Special thanks to Thomson Safaris and Tanzania National Parks for contributing Tanzanian information.